Loved going to Japan on this tour. 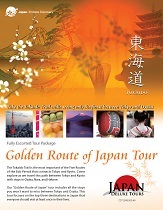 All the steps Japan Deluxe Tours took to make sure we would have an enjoyable time are definitely working. Would like to say your tour guide was incredible. She made this tour go from good to great! The traditional hotel needs to be updated. I see the kitchen and it was dirty. It's just difficult to used to!